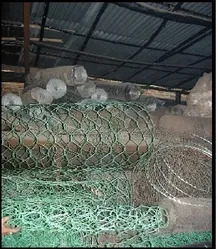 Manufacturing AND Trading of Wire Mesh and Wire Products. Established in 1943, we, Jeetmull Jaichandlall Pvt. Ltd., are engaged in the manufacturing and supplying wide endowment of Wire mesh and Wire Products. Wire Mesh, Screening & Filtration and Perforated Sheet are some of the exceptional quality products from our wide catalogue. Our products are known in the industry for their sturdy design, durability, variation in available specification and cost-effectiveness. The main applications of the products are involving conveying, sieving, grating and purification of commodities. We also have products for the purpose of fencing and boundary protection in our range. 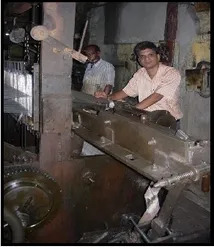 Our manufacturing unit is empowered with all the advanced machinery & equipment, necessary for our production work. We are completely self-sufficient and conduct the designing and fabrication work in our facility itself. With the aid of the modernized quality testing unit, we inspect our products under various performance parameters as per latest quality norms. Moreover, we make defect proof delivery of products with utmost assurance of in time deliverance through our wide distribution networks. 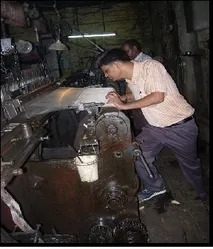 Our well-trained and experienced staff has helped us in maintaining high standards of quality in our workmanship while keeping the close eye on flow of production processes. With these prospects, we have gathered vast clientele base with estimable clients such as NTPC, National Mineral Development Corporation and BHEL. Under the guidance of our respected mentor, Mr. Raunaq Chouraria , we have scaled new heights in our domain. Owing to his knowledge and years of experience, we have gained a considerable edge over our competitors in the market. We are a preferred name in numerous public and private sector industries for our wide range of wire mesh and other wire products. Owing to the quality of our products and the numerous certifications to testify it, we have proved our mettle in these industries. Our organization has been able to grow at a tremendous rate due to the perseverance and contributions of our workforce. We have a team of well-trained and experienced professionals who are dedicated towards providing the best quality products to our clients. Their expertise in this domain has helped us to develop an exclusive range of wire mesh & other wire based products. They are able to comply with all the requirements of our clients and provide necessary solutions. Owing to the high quality of our range of Wire Mesh and Other Wire Products, we have been able to acquire a strong client base spread all across the country, and are successfully catering to the demands of various industries.